Adrián Veredice and Alejandra Hobert, invited teachers to the 7th Philadelphia International Tango Festival. Photo provided by the PITF / Michele Maccarrone. To learn tango dancing, you only have to meet one requirement: know how to walk. This is what Meredith Klein, founder, and director of the Philadelphia Argentine Tango School and organizer of the Philadelphia International Tango Festival, says. This year the festival celebrates its 7th edition in the city with a roster of experienced teachers brought directly from Buenos Aires. Their goal is to get everyone to dance and enjoy one of a fascinating musical genre of the world. The Philadelphia International Tango Festival will take place between the first and fourth of June at the German Society of Pennsylvania, a venue chosen by the organizers to welcome more than 500 people who will gather to explore the music of Latin American giants like Carlos Gardel, Astor Piazzolla, and Osvaldo Pugliese, among others. The festival has a purely pedagogical approach. Its program consists of a series of classes, seminars, and workshops taught by dancers of renowned artistic trajectory. There will be more than 28 workshops on dance and musical appreciation, with music by expert DJs who will play sets of all genres: waltz, milonga, and tango itself. This time, Philadelphians will have the opportunity to learn the language of tango, from melody to poetry; how to invite a woman to dance through the art of 'el cabeceo' (a series of gestures and visual contacts that have to be giving between man and woman before going out to the dance floor) or its structure: how to take the first steps, the turns, how to lead the dance, how to make the twists, how to measure the times and rhythms ... everything will be learned from the hand of the best dancers. Among them are the teachers Nito García and Elba Sottile. García is an 80-year-old living testimony of the Golden Age of tango (between the thirties and fifties). He was a dancer of the orchestra of the maestro Osvaldo Pugliese, and certainly a man with an invaluable knowledge about tango music, such as dance and culture. 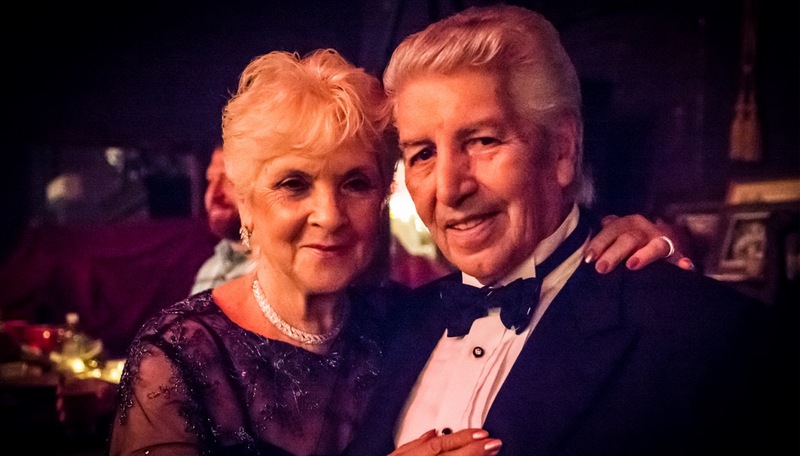 Elba Sottile, an experienced teacher with more than 40 years going around the world at the pace of tango, will accompany García on the dance floor. They both come to Philadelphia to provide what promises to be a great learning experience. Adrián Veredice, Alejandra Hobert, Octavio Fernández, Carla Marano and Marcelo Gutiérrez are the other dancers arriving from Argentina. They will offer seminars and workshops for couples of all levels: from beginners to advanced. The festival also provides classes for people without a partner who want to start learning. During the four days of the festival, attendees will have the accompaniment of these professionals in conferences that explore all aspects of music and dance. At the end of each day, there will be a milonga, a social dance in which the dance floor will be available for everyone to participate in parties that will extend beyond midnight. Although the pre-registration period has passed, those who want to attend can get to the German Society of Pennsylvania (at 611 Spring Garden St.) and pay the value of specific classes or workshops wanted. The festival offers multiple options to access. You can even go to enjoy the night milongas for prices that vary according to the type of activities. Many are $40 or less. See the full schedule here. For Meredith, tango has an immense power of attraction over people. It is a bridge that helps connect people who seemingly have nothing in common. 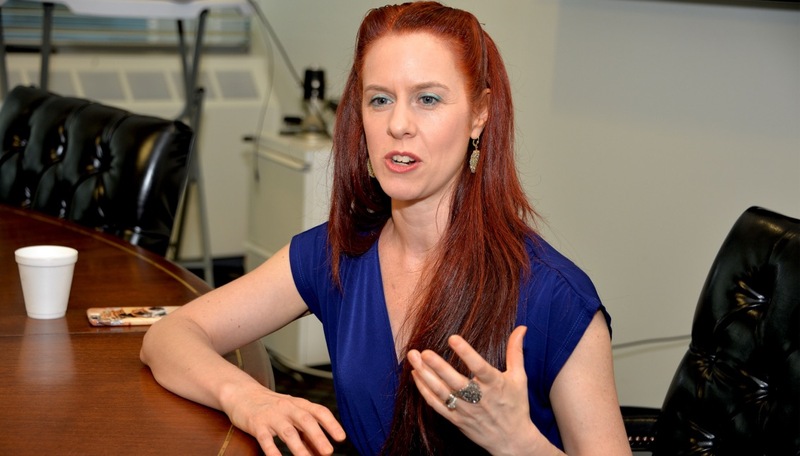 "Knowing different people is always good," says this American woman who had [her] first contact with tango back in 1997, when [she] studied music theory. She hasn’t stopped dancing ever since. Tango served as an excuse and vehicle to travel around the world: she lived in Buenos Aires for three years, traveled throughout Europe and the Americas offering classes and workshops. Nine years ago she returned to Philadelphia to take root and found the Philadelphia Argentine Tango School. "Starting this endeavor is very difficult. I arrived just when the economic crisis broke out in the U.S. In times like that it is very difficult to get a project forward because people are focused on securing the basics to survive and entertainment somehow goes to a second place", she says. Tango is a melody with a very strong load of nostalgia and melancholy. Perhaps that was why there was no better time for her than those days of crisis in Philadelphia. Meredith never lost faith: "I have had the opportunity to get to know tango communities around the world and that has helped me to realize that the success of a tango community lies in the commitment of its teachers. I always believed that developing a project like this was possible in Philadelphia", she recalls. The numbers support her: in February 2018 her school will reach its 10th anniversary in business in the city. With eight classes a week, and a community of about 500 dancers and students of all levels and ages, the Philadelphia tango community is stronger than ever. In 2015, Meredith and her students welcomed Pope Francis during the World Meeting of Families. And this year it celebrates the seventh version of a wonderful festival that not only teaches tango dancing but also confirms its ability to replace verbal language to create intercultural and intergenerational bridges between people who do not share the same language. "What connects people with tango is its complexity and exquisiteness. It happens as well with other types of complex music. No matter how many times you hear the same piece or the same author, you will always find something new in it", says Meredith.